I am very happy know that SharePoint guru Joel visited by Blog and posted link on his blog 10 Tips Troubleshooting Installations for SharePoint 2010 and SharePoint Foundation. To test SharePoint 2010 i Installed VirtualBox and downloaded SharePoint 2010 IW extract the file (CRC check issue refer to my previous post). The big surprise to me that the VirtualBox allow me attach VHD as hard disk. Refer below screen shots how to add Virtual Hard disk. Note : After Re-arming unable to Activate Office applications…. On download page stated that If you encounter an CRC error while unpacking the VMs please check your download using these SFV files & then re-download the files that were corrupted. File open and select SFV file and Press Re-Check the system will check let you the error “Checksum” and re-download that file and extract the VM. Randall's announce the launch of the SharePoint 2010 Developer Center! Microsoft release two Windows Server 2008 R2 Hyper-V Virtual Machine set for evaluating and demonstrating Office 2010, SharePoint 2010 and Project Server 2010. Active directory has been preconfigured over 200 “demo” users with metadata in an organizational structure. All of these user profiles have been imported and indexed for search within SharePoint Server 2010. 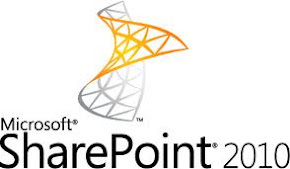 SharePoint Server 2010 has been configured in a “Complete” farm using the default SQL Server 2008 R2 instance. A default site has been created using the Team Site template at http://intranet.contoso.com/ and a FAST Search Center at http://intranet.contoso.com/search/. As shipped virtual machine “a” requires image “b” for email. Running image "b" is optional.